Crystal Serenity is the younger of Crystal Cruises' two beautiful and intimate cruise ships. At just over 68,000-tons, the mid-sized Crystal Serenity provides its guests with big-ship amenities. From the moment you step aboard this vessel, you're sure to enjoy the elegant and posh atmosphere, as well as the service of Crystal's well-trained and ultra-attentive staff (made possible through a fabulous 1 to 1.63 crew-to-passenger ratio). Exciting news concerning Crystal Serenity is that starting with this vessel's May 8, 2012 cruise it became an all-inclusive product! 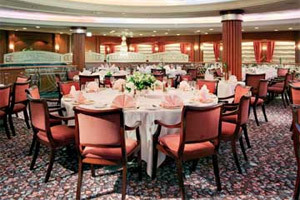 This means that the pricing of their cruises now include: economy airfare (from select gateways), with transfers between the ship and airport; select fine wines, premium spirits and beers throughout the ship; open bar service in all lounges; pre-paid gratuities for housekeeping, bar and dining staff as well as Butler service in Penthouses; complimentary specialty dining; non-alcoholic beverages such as bottled water, soft drinks and specialty coffees; and so much more! 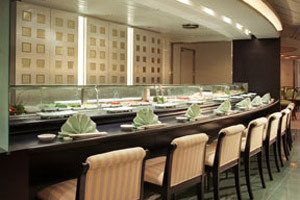 In addition to their top-notch service, Crystal is also well known for having some of the best cuisine and fine dining options at sea. The restaurants of Crystal Serenity are the Silk Road (serving Japanese foods, with distinct Peruvian and European influences), Prego (featuring authentic Italian cuisine, paired with a fantastic wine list, served at Piero Selvaggio's restaurants) and Tastes (a poolside open kitchen). Trident Bar & Grill is a casual venue that serves deliciously light fare including made-to-order grills, wraps, melts and gourmet pizzas more! On select evenings, the Trident Grill offers casual dinners at a relaxing setup around Neptune Pool with exciting selections served in a comfortable ambiance. An extensive 24-hour room service menu is available for those that would like to dine in the comfort of their suite or stateroom. 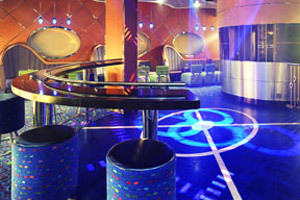 Guests are able to choose from a great variety of public spaces, while sailing on a luxurious Crystal Serenity cruise. 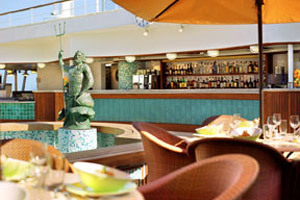 Among the ship's bars and lounges are Crystal Cove (featuring live piano music), Stardust, the Galaxy Lounge (where live performances take place throughout each Crystal Serenity cruise, such as Broadway-style production shows), Palm Court (an observation lounge with floor-to-ceiling window walls providing sweeping views of the ship's surroundings) and the Connoisseur Club. Other areas of interest available aboard Crystal Serenity are the casino, spa, fitness center, library, shopping promenade, as well as extensive enrichment programs. 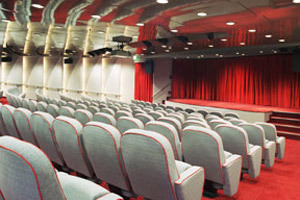 The main showroom for Crystal Serenity's award-winning Broadway-style shows and headline entertainers features exceptionally comfortable seating and a hydraulic-rising stage for excellent viewing from anywhere in the room. In addition to the sophisticated staging, the acclaimed shows each feature detailed costumes and sets created by renowned designers with decades of theatrical experience. 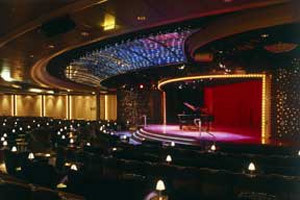 If you're feeling lucky while on a Crystal Serenity cruise, you may end up spending some time at the ship's casino. 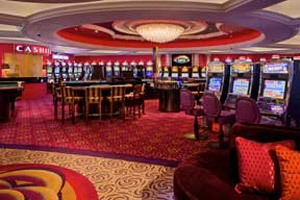 Among the popular games available there are Blackjack, Craps, Roulette, 3 Card Poker, Ultimate Texas Hold’em and Mini-Baccarat (on request), as well as slot and video poker machines. This is a great place to be at following an evening show. 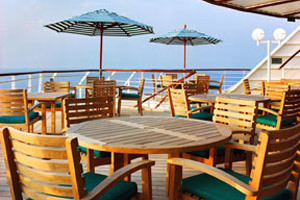 Low Price Guarantee on all Crystal Serenity Cruises! Book any Crystal Serenity cruise with us and you'll get the best deal possible, regardless of the ship or sail date! Because of our "Low Price Guarantee," nobody beats our Crystal Serenity prices, so look around and you're sure to find the best Crystal Serenity cruise deal possible when booking with us! Up to THOUSANDS in Onboard Credit on Crystal Serenity Cruises! Book a Crystal Serenity cruise with us, and get a LARGE Onboard Credit. The value depends on the particular cruise and accommodations you book. Values are listed on Step 3 of the online booking process. We do not charge booking fees on any cruises! You're sure to enjoy an affordable Crystal Serenity cruise when booking with us! 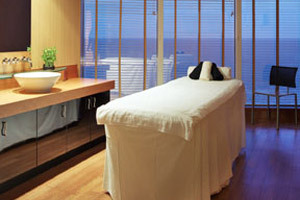 Our special offers on Crystal Serenity cruises may not be combinable. Certain restrictions apply to each offer. Click a price below to view the Crystal Serenity cruises during that month in that destination. Crystal Serenity's most spacious and coveted suites are located in premier locations, ensuring that each moment is a pure delight offering a wealth of amenities. Ease into your own Master bath with Jacuzzi featuring an oceanview. Play Blu-Ray DVDs and CDs or movies on Large flat-screen TVs with state-of-the-art Bang & Olufsen sound system from the comfort of your bedroom, living room or bathroom. Connect your laptop computer to the data port for access to the Internet while enjoying a favorite beverage from the refrigerator all while in the comfort of a large private verandah. Wake up well rested in a Large bedroom on a queen-sized bed. Enjoy personal butler service who will cater to your every need while enjoying complimentary wine plus choice of spirits, soft drinks, beer and bottled water in the room. If you feel like staying in, simply relax in the spacious living room and read a book from the library or take advantage of the private workout area. There's even a second bathroom for guests. With beautiful views over the bow these suites aboard Crystal Serenity also present a number of amenities, ensuring that each moment is a pure delight. 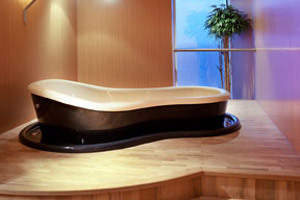 Immerse into your own full Jacuzzi bathtub. Play Blu-Ray DVDs and CDs or movies on a flat-screen TV from the comfort of your bed or access the Internet from your laptop computer while enjoying complimentary wine plus choice of spirits, soft drinks, beer, and bottled water in your room. Wake up wonderfully rested on a queen-sized bed. Draw back the curtains to enjoy breathtaking views from a private verandah furnished with outdoor lounge furniture. There's even a second bathroom for guests. Located exclusively on decks 10 and 11 of Crystal Serenity, the Penthouse with Veranda staterooms feature every imaginable creature comfort, much like a world-class hotel. Ingeniously designed for maximum space, each 403-square-foot oasis offers an immensely comfortable queen-sized bed which may be converted into two twins. There's also plenty of space for the living area, private in-suite dining, refrigerator, vanity in dressing area, and a full Jacuzzi bathtub with separate shower. More room and breath taking views await you through the glass doors leading you to the exquisitely furnished private teak veranda. These beautifully decorated 269-square-foot staterooms mirror many of the luxurious amenities found in Crystal Serenity's Deluxe Staterooms, including a private teak veranda, remote color television and Blu-ray DVD/CD, plus seating area and spacious closet. Enjoy complimentary soft drinks and bottled water stored in your refrigerator while gaining accessing to the Internet. Comfort and convenience are the highlights of these extraordinary staterooms. Designed to maximize space, these exquisitely appointed 226-square-foot staterooms on deck 7 offer the comfort of queen or two twin bed accommodations, a seating area, full bathtub and shower combination, remote color television and Blu-ray DVD/CD player, and data port for your laptop computer hook-up. For your convenience, a well stocked refrigerator is accessible including complimentary soft drinks and bottled water. Spectacular seascapes can be seen through a large picture window. The deck plans of Crystal Serenity provided on this page are subject to change. We reserve the right to correct errors. Please verify all information with Crystal Cruises directly.